At the Backup step of the wizard, select a backup from which you want to restore disk(s). 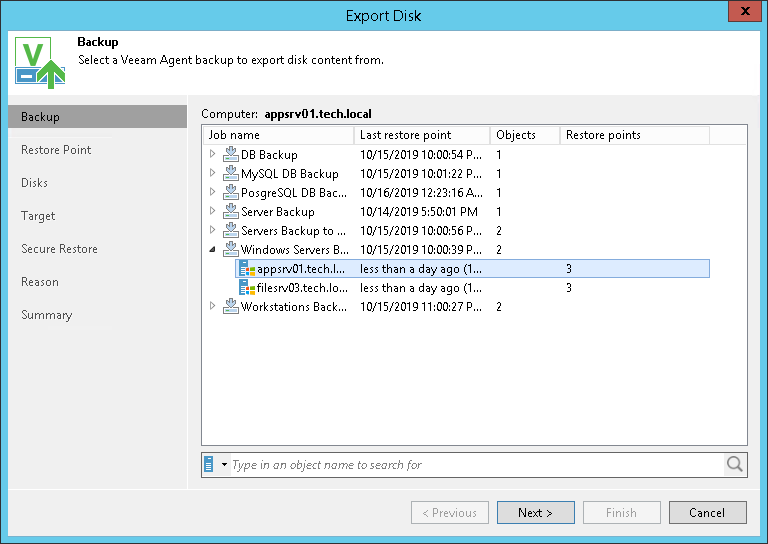 In the list of backups, Veeam Backup & Replication displays all backups that are currently hosted on the Veeam backup repository. Make sure that you select a volume-level backup in the list.